You can now sign up for the Family Finding boot camp by Kevin Campbell! 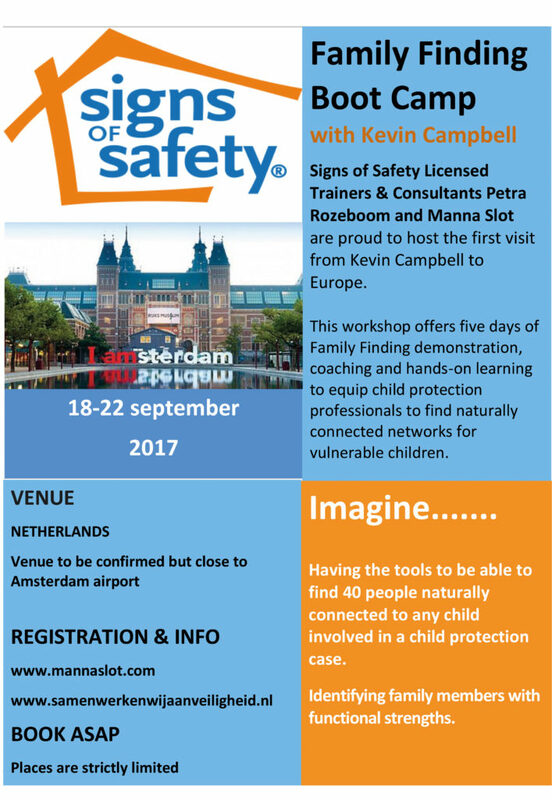 The boot camp will be held from 18 to 22 September 2017 in Amsterdam. You can download the full folder here or view the image below.